Last Sunday my husband and I went ‘Up the Cape’ with Ian Jelf, a Blue Badge Tourist Guide. This is an area that my grandparents grew up in. My first Saturday job was in Woolworth’s Cape Hill and it is about a 20 minute walk from where I now live. Much of my childhood was spent around this area, as it had a thriving market and I had a favourite Auntie Renee who in the early 70’s lived in the then, modern, high rise flats. She had been moved from a prefab and considered herself very lucky to have a place with all mod cons including underfloor heating. Yet I knew very little about the history of the area. A tour of the area was in order. It would be fair to say that The Cape is not without its social and economic problems. It is an area of low wages, high unemployment and low educational attainment. A high number of the population are immigrants, from India, Pakistan, Bangladesh, the Caribbean and more recently from Eastern Europe. 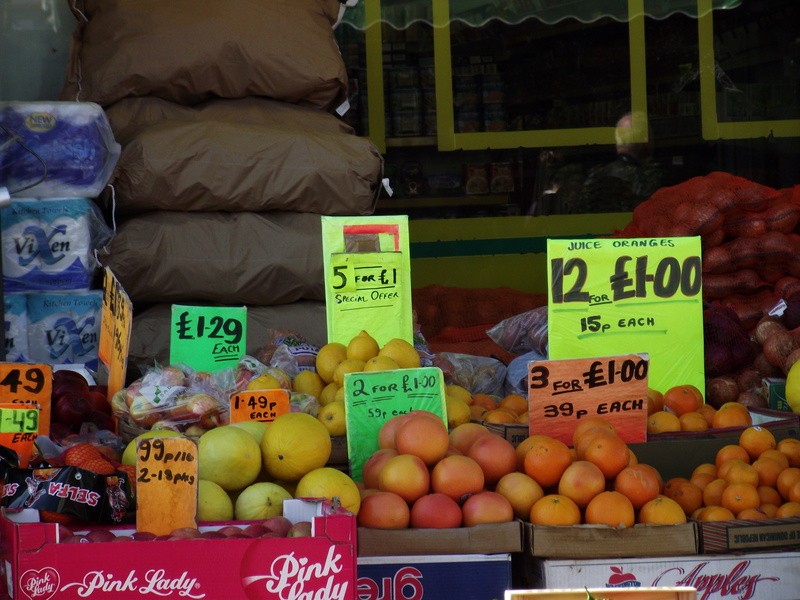 The shops on Waterloo Road and Cape Hill reflect this rich diversity, and it is the best place to shop if you want Asian ingredients, quality fruit and veg and wonderfully colourful materials. As ever there will be somewhere that bucks the trend, and throws statistics and predictions out of kilter. One primary school in the heart of this community, has a long reputation of educating young people who eventually go to university. Two hundred and fify years or so ago, it was an area that was ‘highly desirable’. The Cape was where wealthy industrialists would make their family home, to the west of the city, avoiding pollution, on a hill overlooking Birmingham. It is hard to imagine that this was once pretty much rolling countryside. Yet my Grandad’s first job in the 1920’s was as a farm hand. His father was a highly skilled gilder, hand applying gold leaf to frames, many of which hang in the Birmingham Art Gallery, according to my Nan. 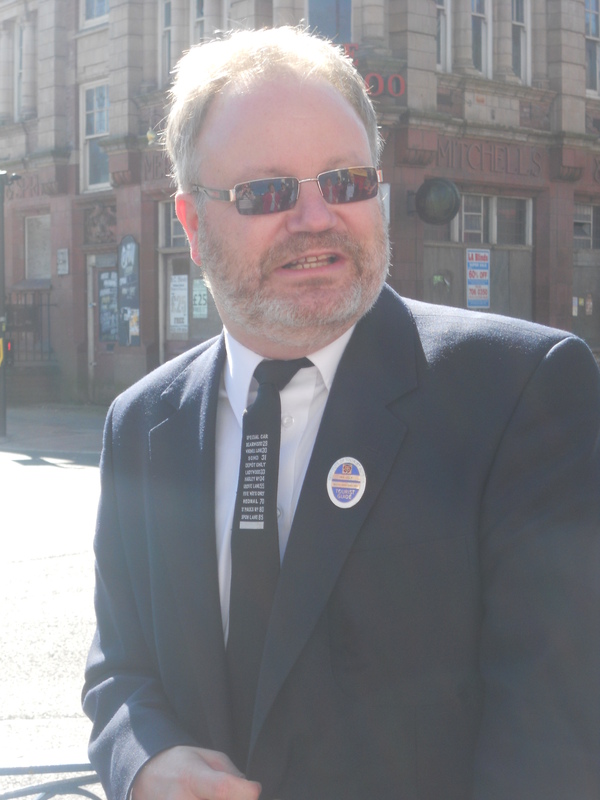 The group met on a very sunny Sunday in March at McDonald’s, at the junction of Dudley and Grove Lane. Not a place where you would normally expect a guide to the history of an area to begin. There was a good reason for this however (in addition to the practicalities of parking, toilets and refreshments) as this was the site of a former public house, The Cape of Good Hope which gave the area ‘The Cape’ its name. Ian began by explaining that this would be an unusual tour because most of the places he would be talking about no longer existed as they had all been knocked down. And of course we got some odd looks from passers by, a posse of middle aged white people, following a man with an umbrella, a trade mark of a Blue Badge guide, all wearing sensible shoes, and carrying cameras. In Smethwick on a Sunday. We may as well have had a placard declaring ‘History Geeks R US’. And we would have held it proudly! And so we began. The Grove, a beautiful Art Deco Cinema now a bathroom show room. 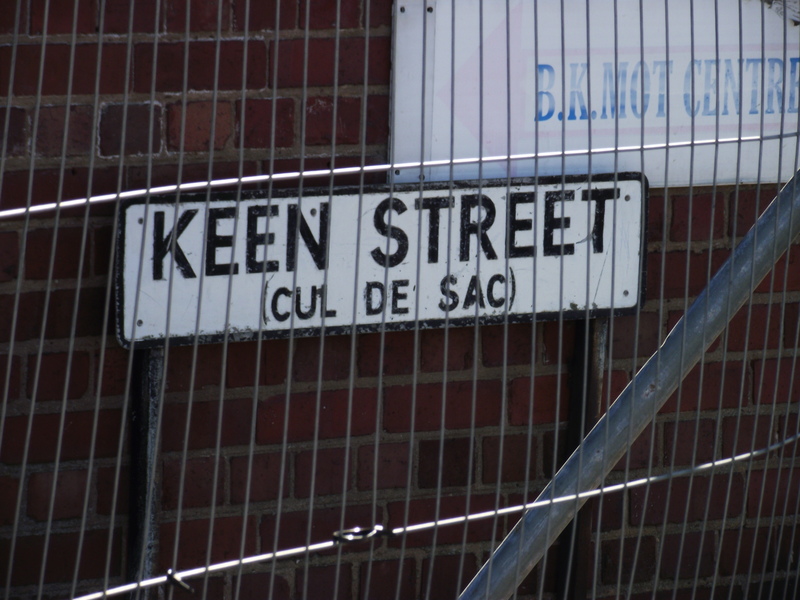 A road named after Arthur Keen of Guest Keen and Nettlefolds (GKN). 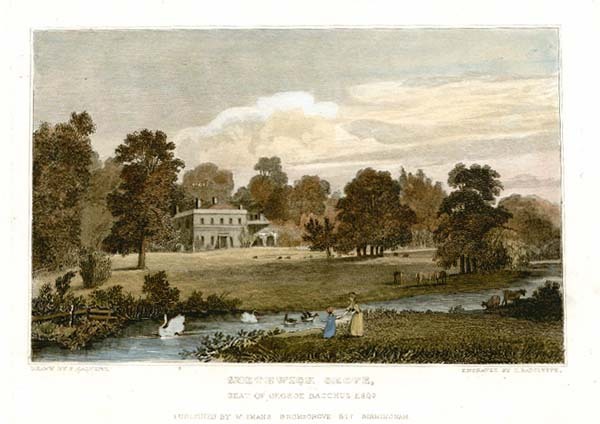 A description of Smethwick Grove, a beautiful home to the Kier/Molliet family that used part of the canal as a boating lake, with swans and grazing cattle. James Kier was a member of The Lunar Society had been a friend of James Watt. Then on to a now derelict pub (one of many in this area) The London Works. this pub would have served the workers who made the metal frames for The Crystal Palace for The Great Exhibition. The Glass was made just up the road at Chances of course. Yes, The Crystal Palace. Made in Smethwick. A meander around a housing estate (more baffled looks from residents) crossing over from the land of Grove House to the estate of The Woodlands. The only remaining evidence of this is a run down Working Mans Club and the name of the street. 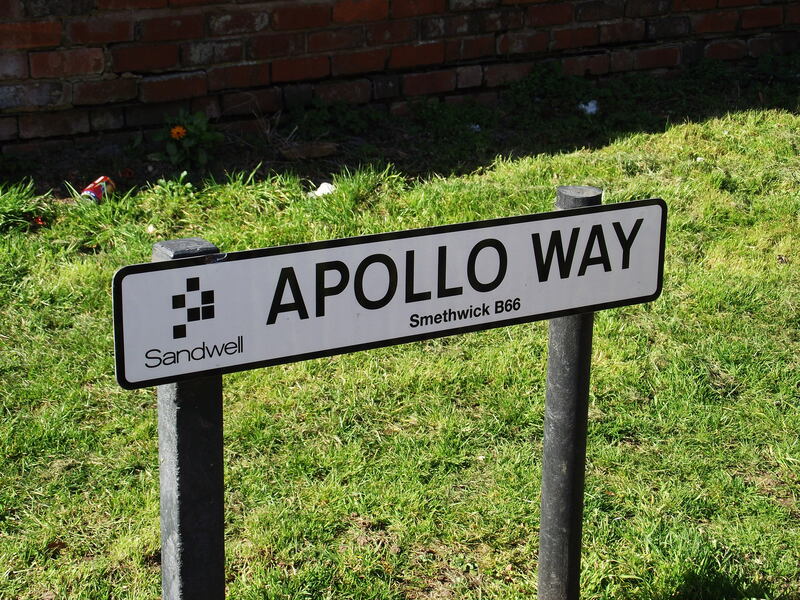 New housing built in 1968 have one reference to history, the first moon landings. 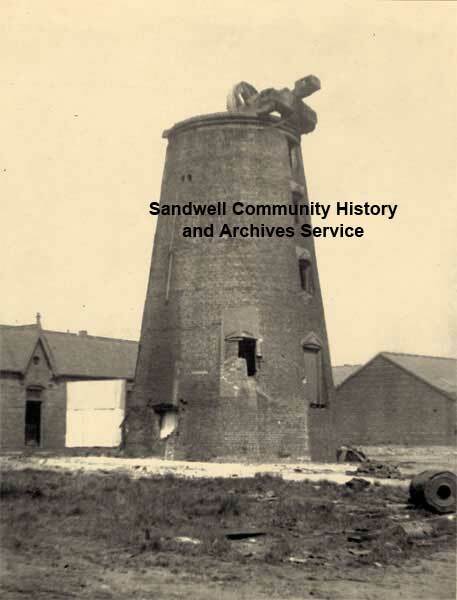 As we go around the back of Asda and the Windmills Shopping Centre, named for the original windmill that once stood nearby, we find yet another beautiful and listed building. 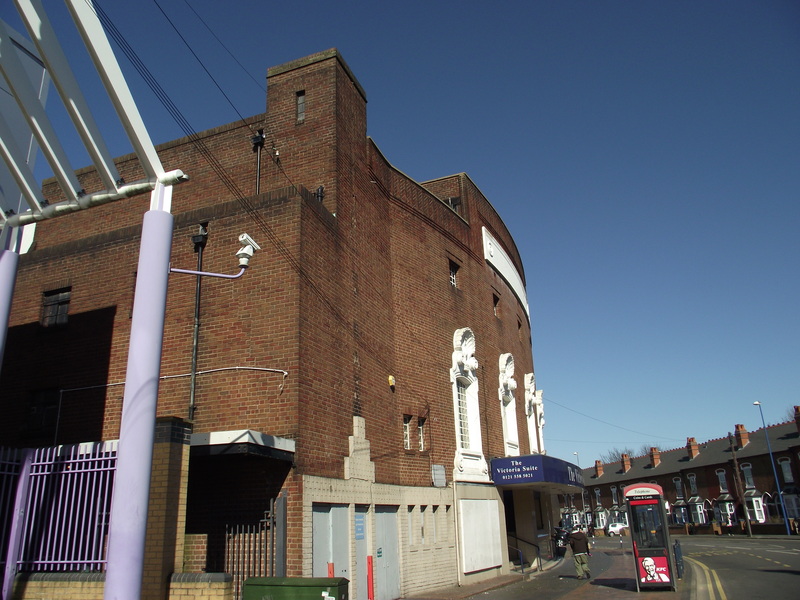 It was originally the site of a skating rink built in 1909 which became The Rink Cinema in 1912. 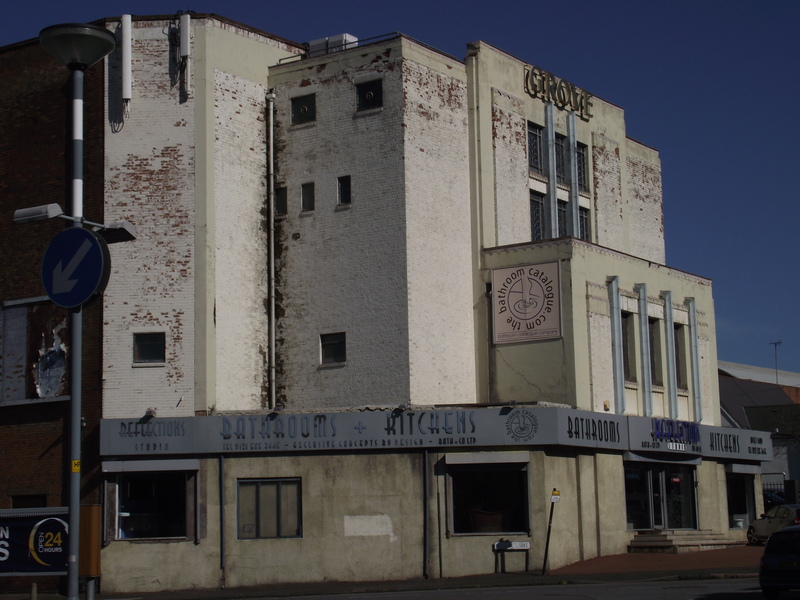 Demolished and rebuilt in 1928,i t is now the Victoria Suite having been The Gaumont Cinema and a Mecca bingo hall (frequented by my Aunt Renee). 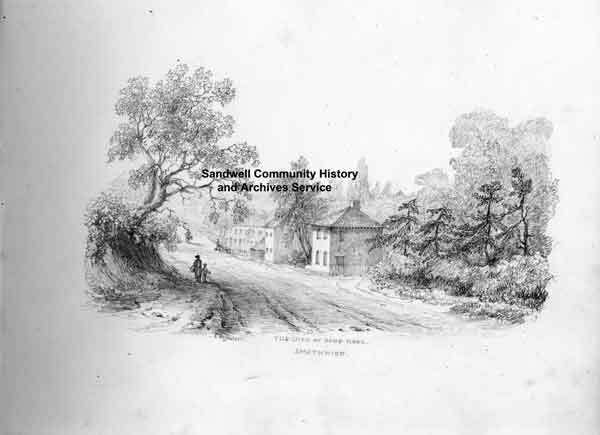 The next stop was at the junction of Waterloo Road, Cape Hill and Shireland Road. The Waterloo Pub. It is crowned with wonderful weather vane, in the shape of a Galleon. There are galleon tiles in The Grill Room. This is because the it was originally going to be called The Galleon, changed to The Waterloo due to its location. It is a tragedy that this building is not being used. It was recently sold for £150k and yet nothing is being done to preserve it despite it being listed. Oh to win the lottery. 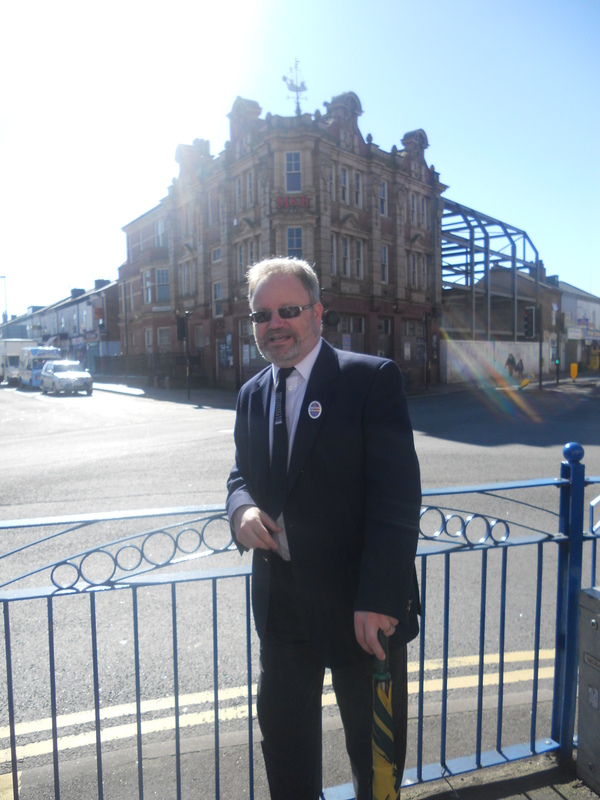 We continue along Shireland Road, to the site of the former Shireland Hall, another of the great houses in the area. Now a car park and terraced houses. It was the biggest house in the area as it had seven hearths (recorded due to The Hearth Tax). One of the many taxes invented to obtain revenue from house holders, such as the Window Tax, where the phrase Daylight Robbery is derived from. Oh the things you learn when on an Ian Jelf Guided Tour. This junction was also a site of a battle in 1643. According to this article about the military history of Birmingham ‘At the far end of the town at Cape Hill the Roundhead troopers made a stand and successfully checked the Cavaliers between the Royalists’. I think we ought to arrange a re-enactment sometime. That would make the locals look up! And talking of looking up, above and among the shops and banks there is some amazing architecture.The Victorians made their buildings stand out with turrets and clock towers, even those to meet the needs of the poor such as The Dispensary, a now an “at risk” Grade II Listed Building. Cape Primary school is where my nan was educated over 90 years ago. We end the tour at the site of the former Mitchells and Butlers Brewery. Now a housing estate. This was such a big site that it had its own fire station, railway network and cricket pitches. Only the fire station building, the war memorial and these gates remain. Most of the pubs around the area were M&B pubs, my Grandad’s local was The Two Brewers (now demolished and a housing development) and the famous Blue Gates where Christabel Pankhust made a speech when seeking a parliamentary seat in the 1918 election. Ian covered so much more than this post could do justice to. His knowledge of the area is amazing. His style is eccentric, witty and informative. And never ever boring. If you want to learn more about where you live, find a Blue Badge Guide. If you live in Smethwick or Birmingham, find out where you can join an Ian Jelf Guided Tour. And I will book myself on another tour of my back yard soon. Bearwood I think. This entry was posted in Community, England, Europe, Travel and tagged Black Country, Blue Badge Guide, Cape Hill, Sandwell, Smethwick by Travelling Coral. Bookmark the permalink.